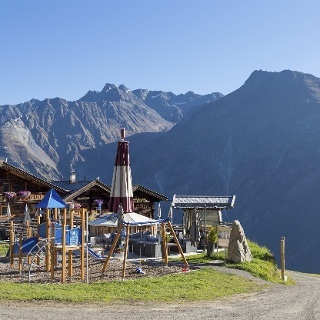 This scenic tour of intermediate difficulty leads up to Brunnenbergalm, one of the most beautiful vista points in the Sölden Hiking Area. Majestic Brunnenbergalm mountain hut towers on one of the eastern slopes of Ötztal's mighty mountains, at the entrance to Windachtal valley. The area ranks among the most beautiful vantage points in the valley. Starting in the village center of Sölden, you follow the Ötztaler Ache river upstream. The first 1.5 km long stage is almost flat and therefore ideal for warming up your muscles. 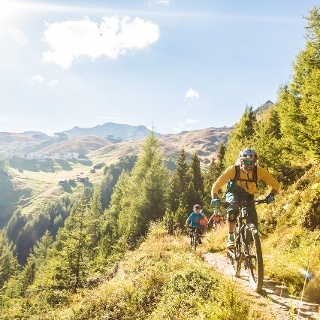 This intermediate mountain bike tour offers some 930 meters of elevation gain. 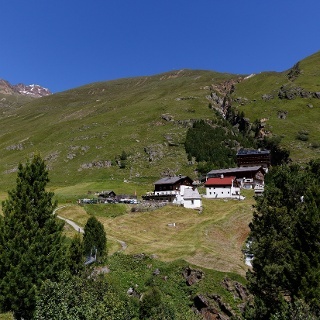 The steeply rising ascent on the asphalt road starts in the immediate surroundings of Sölden's campsite. 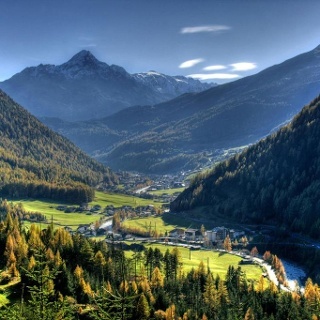 From km 3.1 onwards you bike on real mountain bike terrain: a very steep and winding gravel path leads through the forest and further on along the treeline – where stunning views of the Alpine scenery are waiting for you. After approx. 8 km you can make out the dark wooden huts of Brunnenbergalm. Soon you can relax your sore leg muscles on the sunny terrace while enjoying a revitalizing drink. 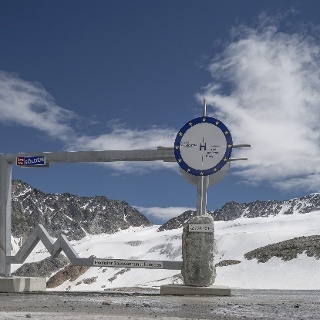 Picture-book panoramic view of the Ötztal glaciers! The first part of the route travels on asphalt roads - watch out for oncoming traffic! 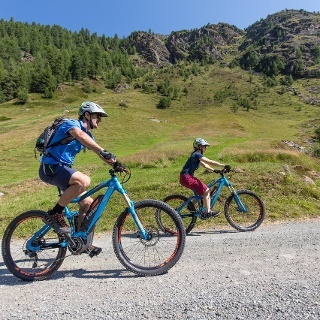 If you want to return on a different route, you can choose the black Jägers Notweg Single Trail (673) which is only suitable for very skilled bikers with enough downhill experience. This single trail ranks among the most difficult routes the BIKE REPUBLIC SÖLDEN has to offer. The bike route starts at Freizeit Arena, leading to the base station of Gaislachkogl Gondola along the Ötztaler Ache river shore on a gravel trail. Then the trail joins the asphalt road. 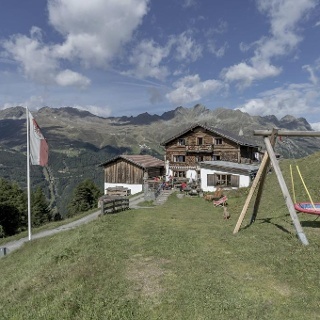 Continue past the Campsite, cross the bridge and bike uphill to the hamlet of Moos. Here you take the forest road which leads straight up to Brunnenbergalm. Return on the same route.